Nicole grew up in southwest Iowa and Brett grew up in southwest Nebraska. Their paths crossed in 2005 while attending Nebraska Christian College in Omaha, NE and were soon married on June 7, 2008. Brett finished his undergraduate studies in Biblical Studies and Student Ministry and Nicole finished her studies in Family Life & Counseling. During that same time, both were serving full time at Kingsway Christian Church in Omaha, NE from 2008 to 2011. In 2011, they joined the staff of Impact Campus Ministries and relocated in Salt Lake City, UT to do campus ministry full time at the University of Utah, Westminster College, and other area college campuses. After a few years, God opened doors for the Ricley’s to partner with Risen Life Church and Bryan & Lisa Catherman in order to plant a new church. In 2015, Redeeming Life Church was planted and by the grace of God the church is healthy and growing to this day. From 2015- 2019, Brett served as the Pastor of Mobilization where he oversaw all the discipleship, evangelism, and mission efforts both locally and globally. He preached regularly and you can find all his sermons here. It was in this season where Brett began to train incoming mission teams on simple discipleship methods, the theology of Mormonism and how to engage Mormons, as well as traveling to various states to lead Evangelism Workshops. If you’re interested in some of the training or workshops Brett does you can find that info here. 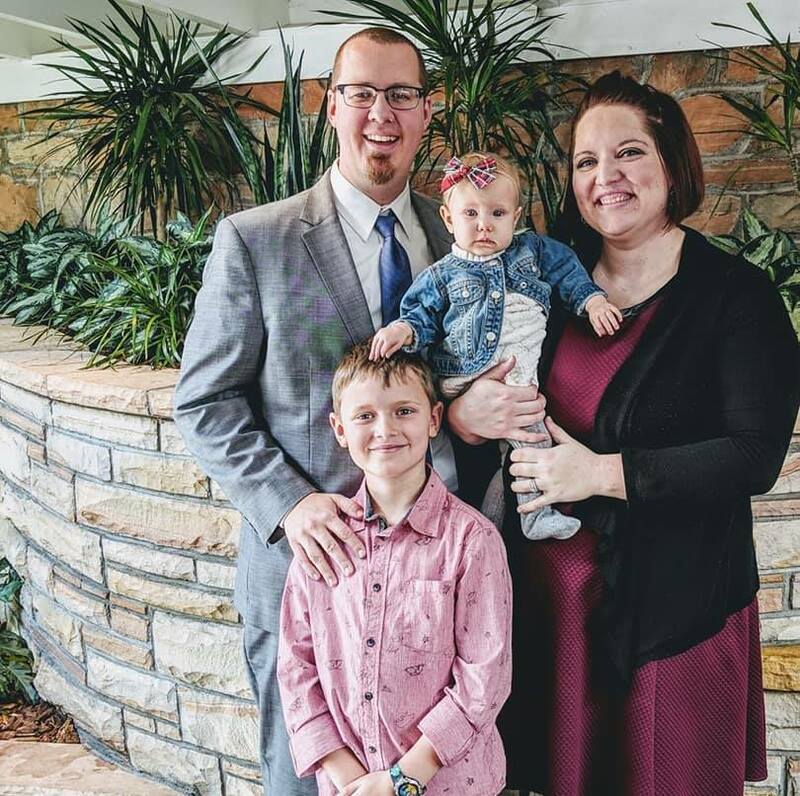 In February of 2019, God called Brett and Nicole back to the midwest and Brett came on staff at The Mission Church in Urbandale, IA as the Associate Pastor of Discipleship. Brett’s primary responsibility there is to create and cultivate a disciple-making culture where every disciple is an active and growing disciple-maker. Brett also serves on the Salty Believer team as a regular podcast host, speaker, and writer. Brett also builds and designs websites with Goby Creative, a design company that employs Christian missionaries all over the country in order for bi-vocational leaders to make a living and do ministry. Nicole is an amazing woman who loves God and loves her family. She is a devoted wife and mother as well as a very talented pastry chef and an arts & crafts aficionado! She also blogs! Brett & Nicole have been married and in full time ministry since 2008 and have two wonderful children: Jonathan (2010) and Madison (2018).